Klip Gallery: Optimizely – How can we help you today? The Klip Gallery for Optimizely helps you track your customer experience optimization efforts. A summary of your Optimizely projects, statuses, and number of code revisions. Choose a Optimizely Klip from the Gallery. In the Connect to Services window, click the link to generate your API key. 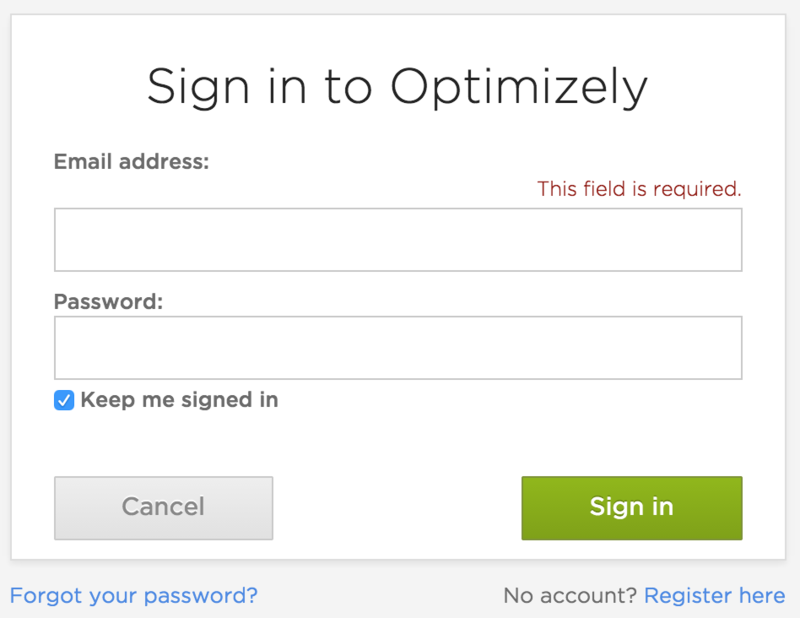 Log into your Optimizely account. 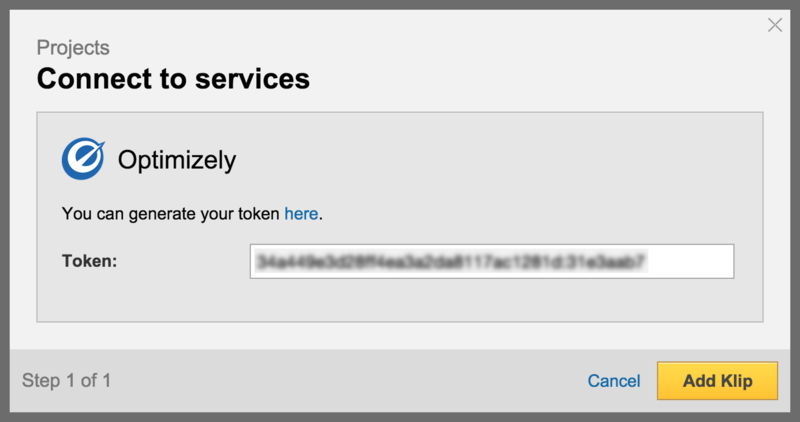 On the Optimizely API Tokens page, generate and copy your API token. Paste the token into the Connect to Services window.